Every year December feels like it creeps up on me super fast. My biggest responsibility at the end of the year is the holiday cards. Ever since I moved to New York 17 years ago, sending mail to my family has been a major priority for me. I print them photos of the kids and pop them in the mail, we always write thank you notes when they send gifts and most importantly is our holiday card. 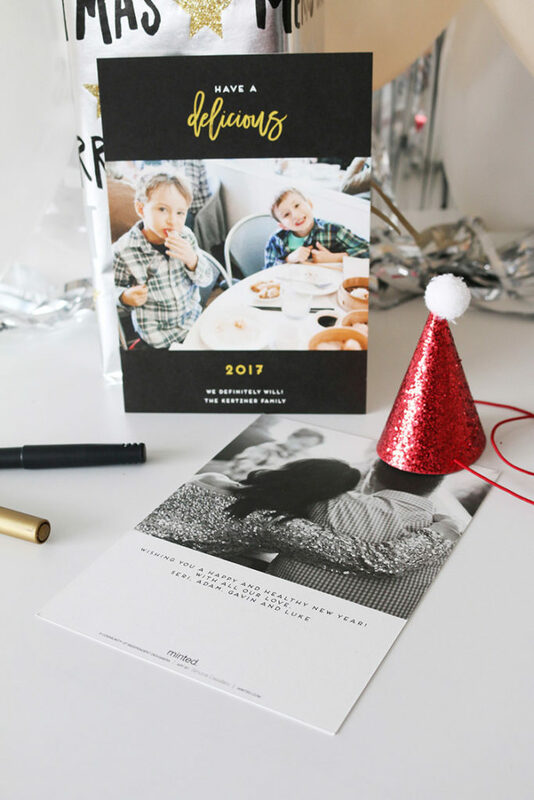 The holiday card doesn't just go to my family though, we send to everyone in my husbands office and then of course we print cards from the LMP team to send to all of our clients and vendors. Needless to say...I usually start this timely process as early as possible. The fun part about sending these cards...starts with the photos. Every year it's my reminder to take professional family photos. I cherish these photos with all my heart. I asked Sasithon Photography (Sas) to take our photos this year and thought it would be most enjoyable if we were doing something we love...as a family. So I suggested we grab some dim sum and take a few photos around the area before we eat. It was perfection. We ate, we laughed and Sas got some of the most fabulous photos of us to date. For our company photo this year, we tested out a new service called Covred. These guys are like the "uber" of photography sending a photographer over to shoot your family or company photos on demand. 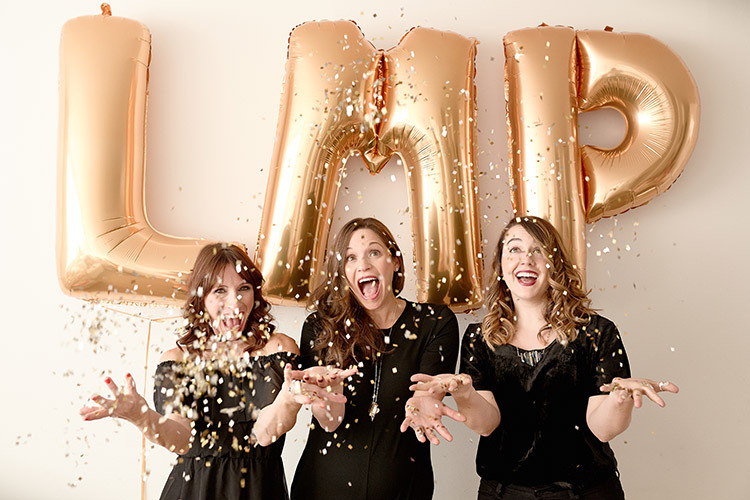 We tossed a lot of confetti and popped a whole lot of bubbly for this shoot staying on point with the LMP brand. 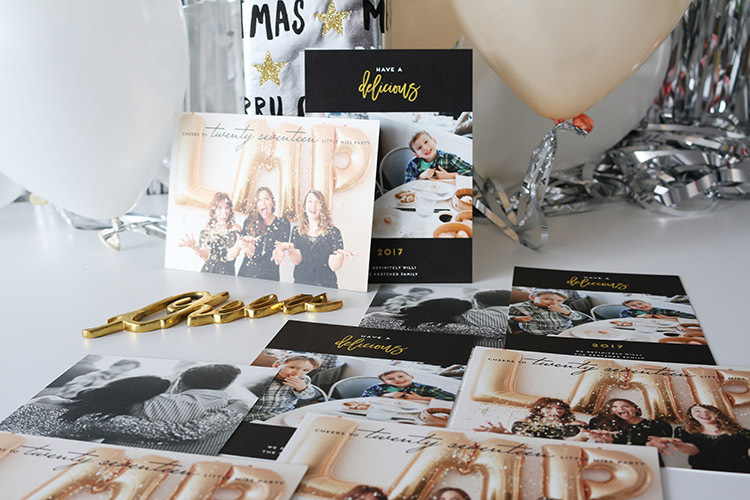 Once I narrowed down the photos and chose my favorites, I log onto our account with Minted and start leafing through all of the amazing designs. 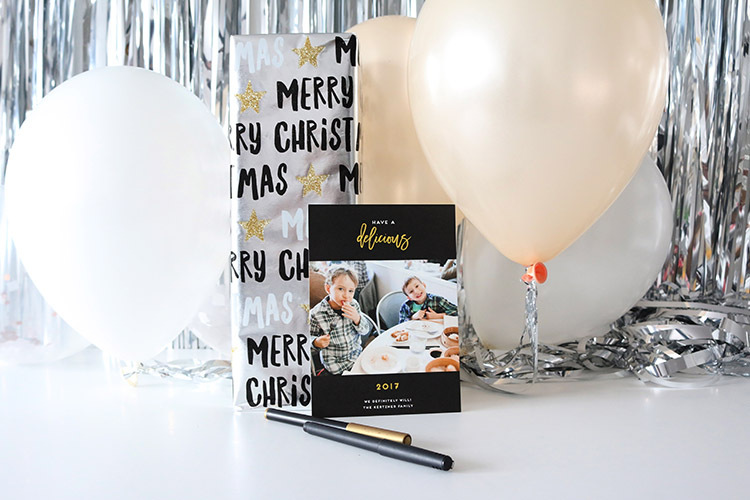 They have the most fantastic selection of cards for the holidays making it nearly impossible to choose because I want every single one, but incredibly easy to navigate once you find the perfect design! 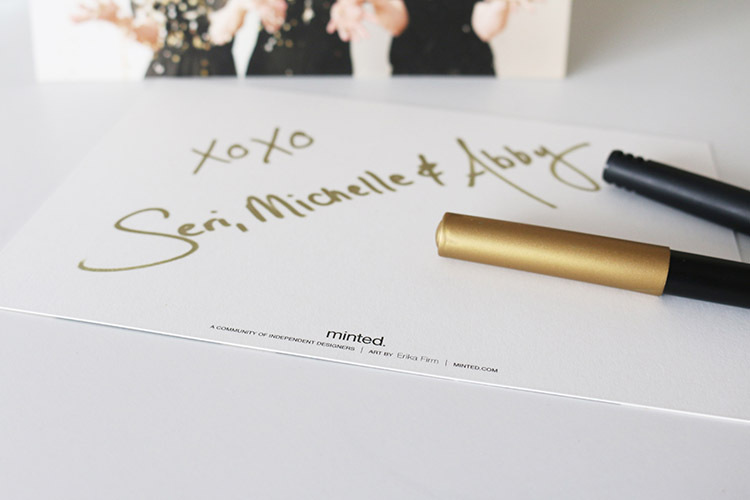 I go the extra steps to make my life easier and choose the option that Minted offers to have all of my envelopes pre-addressed so that when I receive my order I can write a little note on the card, pop it in the envelope and drop it in the mail! This year I chose cards that reflect our photos with complimentary colors and style. I think I may have to frame each one because I love them so much!